The LR2 consists of two essential parts: Sensor Unit (shown above) that attaches to the camera to transmit distance measurements—and the Video Interface Receiver (opposite page). Beams of infrared light from the Sensor measure distance from camera to almost any object in the scene. It also calculates Autofocus. Photo courtesy of Bob Smathers. I use the Light Ranger 2 full-time. To me it is like having 16 tape measures on the camera. The other added features, mostly the auto focus mode, are very helpful. I find it most useful for extreme close-up push-ins or pull-outs. The famous close-up on an eyeball shot is one place where the Light Ranger is extremely accurate when depth of field is very minimal. 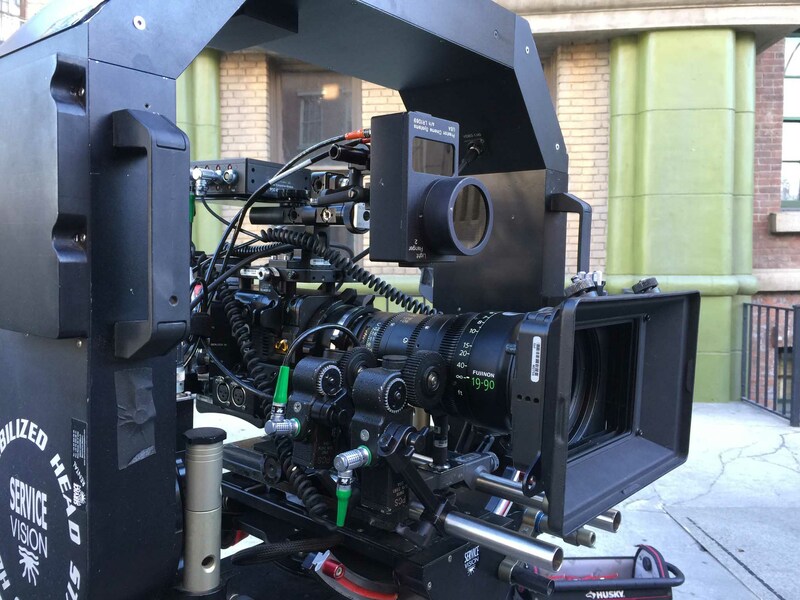 On “A Wrinkle in Time” we are using Alexa XT cameras, small HD focus monitors and Leica Summilux primes and Fujinon Premier zooms. The other thing is that pulling focus with the bars on the monitor is so much easier than pulling off of numbers. What makes it so easy is knowing your depth of field and where you are within it. Knowing if you are more behind or in front of your subject really helps me follow. 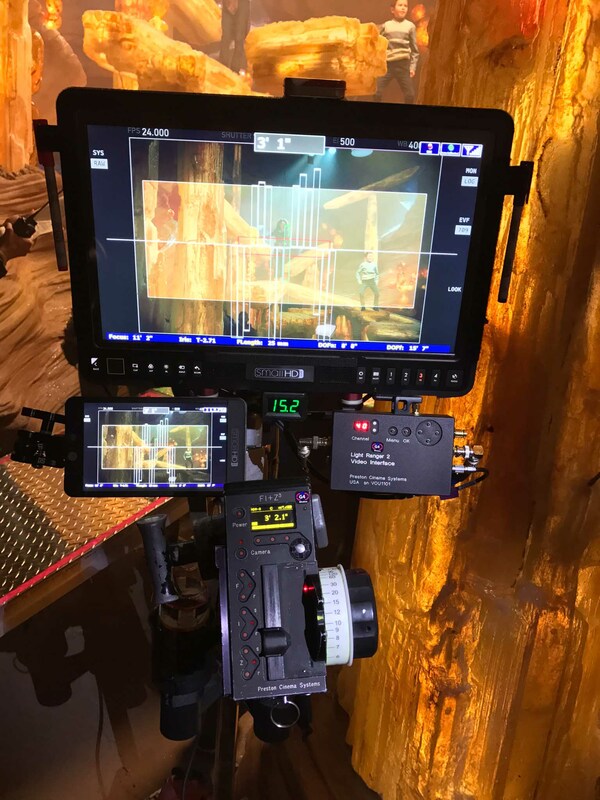 I used the LR2 on the recent, new Netflix show called “Godless.” The LR2’s interface forces you to pull focus in a bit of a different way, watching the Video Interface through a 17” monitor, but once I got it down, the LR2 became one the top tools that I now rely on. Having the LR2 do the math for you, showing you the DoF for masters so I now know exactly where the split is, all the way into the long lens shots, makes it invaluable. On the last picture I did, Steven Meizler, our Director of Photography, decided to use the ZEISS Super Speeds, and at night we shot a lot at T1.3. The Director set up a shot with the 85 mm, and a very slow push in to about 3’6”. Having the LR2 really helped me as our actor leaned in and out with his dialogue as well as the slow push. 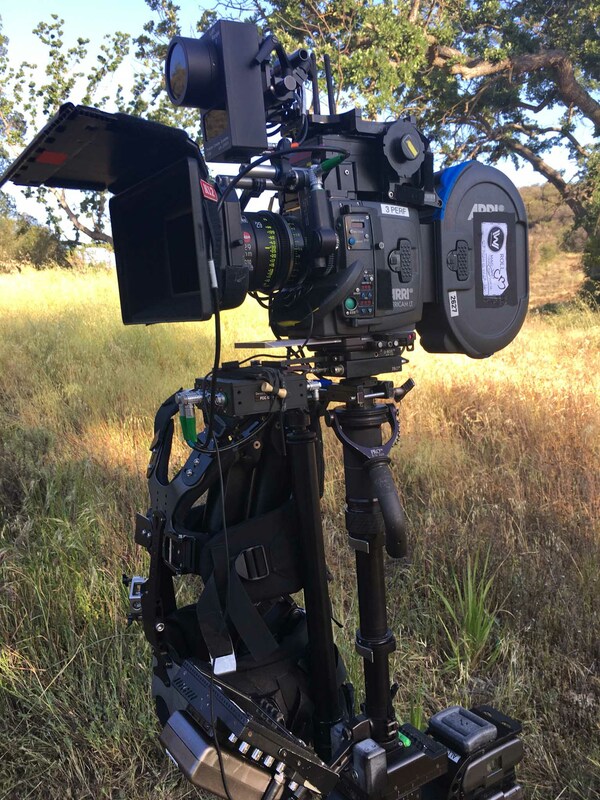 George Billinger, our Steadicam operator flew the camera with LR 2 and again, at a T1.3 65 mm converging on our actor, the LR2 was worth its weight in gold. Another time I was strapped into the “Tom Car” by CineMoves, shooting close-ups of actors riding horses. We were leading the actors, and I wasn’t able to turn around to see the distance because my field of view was totally blocked. My only monitor option was a SmallHD 7”. In my opinion, it is much more difficult to see focus on a 7” vs. a 17”. I hooked up the LR2 Video Interface to my SmallHD, and I was confident that what was in the “Green Bars” was in focus. My first show with the LR2 was with a Red 6K camera, ZEISS Super Speeds and the Sony 17” PVMA170 monitor. I’m prepping my next job now which will be Alexa 65 and Panavision System 65 lenses. After using the LR2 last year on “Ghost in a Shell” (coming out March 2017) and completing ten weeks on this current “unnamed” feature, I just want to take a minute and thank Howard again for this amazing product.. He has created something that is more useful to narrative focus pulling then I ever imagined. Watching the green bars dance across the screen allowing me to flow between characters with confidence is really a joy. I purchased the LR2 ahead of working on “Pacific Rim 2,” based primarily on recommendation from Steadicam Operator Chris Haarhoff and his experience with it on the HBO show “West World.” I immediately discovered that the sensor and mounting brackets were perfectly engineered and that no mods would be necessary to mount the device on the Alexa XT. We are using Panavision anamorphic lenses with the RC 60 being the workhorse lens. I pull based on shot design, so I’m either by a Small HD 1703HDR or more mobile with a Small HD 702 mounted to an HU3. I leave it mounted on camera all of the time. I don’t use it on Steadicam – still go with a CineTape. The fine tuning ability and interface options are smartly designed. One needs to be open to a new system and embrace the evolution of focus assist—this system is more complex than anything before it but not unnecessarily complicated, if that makes sense. I have been very satisfied with its reliability and intuitive operation. I have been experimenting with Autofocus and used it on a particular shot where the camera was tracking counter to a subject on approach and then whipping to an actress in the foreground while continuing a lateral track. For this shot, I decided to manually pull the first part of the shot and then hit the auto button on my handset as the whip pan was initiated and landed on a tracking ECU of our actress. The shot was perfectly executed and an example of human input and pure technology in harmony. Aside from using the Autofocus feature for actual takes, it can be handy to employ during set up time, and walk away from a focus monitor to deal with any number of things throughout the day. In the Digital Age it is incredibly taxing to always have to be pulling focus and staring at a super bright HD monitor for hours per day even while just lighting and working with 2nd team. The benefit of allowing the unit to focus itself during these moments cannot be overstated. The LR2 is an incredible addition to the tools available to me to get a perfect shot. I have worked with some very talented directors and DPs who were trying to develop a unique visual language within the spot—something that really stands apart. That language included shots with very difficult focus pulls. The availability of the LR2 not only makes many of these difficult shots possible, but allows the creative team to conceive of imagery that would have been very difficult to achieve before the advent of the LR2. I worked on a commercial shot by Paul Laufer for a big cell phone manufacturer. We used a 100 mm Master Prime wide open on a Technocrane traveling around a cell phone held by an actor in motion. The focus was supposed to be on the leading edge of the phone, with the logo below, and everything else falling out of focus. This made for a very stylized image, and with the help of the Light Ranger2, we got an amazing shot that could not have been realized in any other manner. I leave the LR2 on the camera all the time. Many shots don’t require the Autofocus function. Then I’d use the distance readout in lieu of a CineTape. Oftentimes I go back and forth between auto and manual focus during a shot. I try to stay manual most of the time, but switch to auto when I anticipate the LR2 being able to do a better job than I could in a given circumstance. I have used the LR2 with Minis, Alexas, and Dragons in conjunction with Ultra Primes, Master Primes, Super Speeds, Cooke S4s and S5s, Master Anamorphics, Cooke Anamorphics, Kowa Anamorphics, and all the Angenieux zooms. The monitor I use is a 17” Flanders Scientific CM-171 because of its many built-in functions. For applications where I need to be more mobile, I use a rig built around an Odyssey 7Q. I have found the Light Ranger 2 to be a very useful tool in certain situations. For me it is a whole new way of pulling focus since I don’t usually stare at a monitor and prefer the old fashioned approach. It is still a similar skill set in a lot of ways, but coming at it from a different angle. It certainly made my life easier on many shots on “Jumanji 2”. I mainly used the LR2 on the Technocrane that we use on a daily basis. I was often not in a position where I could get a good view of the camera and the actors, so the LR2 has become my go-to tool for this kind of work. Going from a big wide shot and pushing into a tight closeup was easy because of the graphical display. It was also very helpful on the crane shooting dialogue scenes as you can see where the actors are over the shoulder and see what is within a given depth of field. 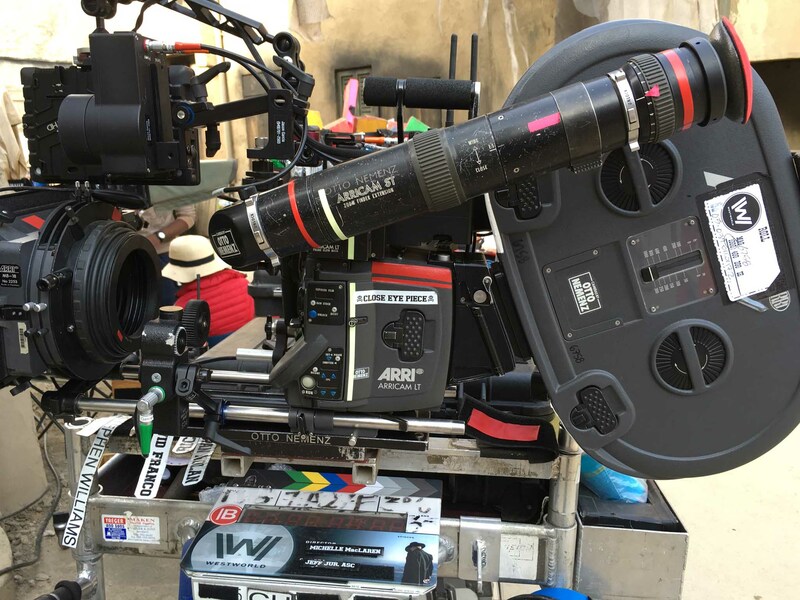 I was using it with Alexa XT, Cooke S4 primes, Angenieux zooms, and SmallHD DP7 monitors. More and more of us focus pullers are focusing off a monitor. We can see focus better than the operator, because their EVFs are usually just magnified images of a not-so-high resolution tiny monitor. The Light Ranger 2 is a big leap forward. It changes the way you do things. If you’re used to pulling focus off a monitor, it is easy to learn. The LR2 makes things so much easier, because the graphic overlay helps you to see distance relationships within the shot. In the past, I was used to looking at numbers representing distance, but now I’m just looking at the overlay. You can adjust the opacity so it’s not distracting at all. And there are still feet and inches on top of the screen display. The LR2 is so accurate, I don’t know how I managed before. I’m doing shots now that I never would have dared doing without a tape measure.